Both iCloud and iTunes are part of the features that make the iPhone brand very popular before talking specs and brand designs. However, Android users ain’t familiar with iCloud but iPhone users can easily swap to iCloud on Android phone. Apart from the iCloud app for Android, there is still another means to set up iCloud for Android or create a new account or migrate the old and existing iCloud content to a new iCloud account. With the iCloud app for Android, you can take note and make your Apple ID useful on your Android device, migrate email from your iPhone to your Android iCloud account with the same features. In this guide, we’ll take a look at how to create an iCloud account for Android to upload your device photos to your Android device without using the direct backup file. One of the reasons why iPhone users don’t want to move to Android is how to set up iCloud for Android phones so they will not lose their contacts and other details on their iOS devices. I want you to know that Android users also have the privilege to create an iCloud account and use it on their device. For those that are familiar with most Android phones, you will find out that you have Gmail and Email option on your device. However, if you don’t have Email to easily set up iCloud on your Android phone you will likely come across IMAP. 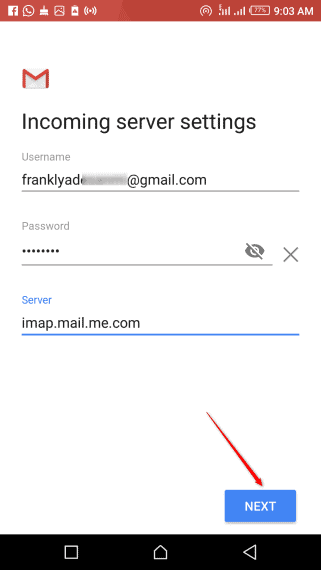 IMAP can be used to set up iCloud for Android phone if you do not have Email option available. 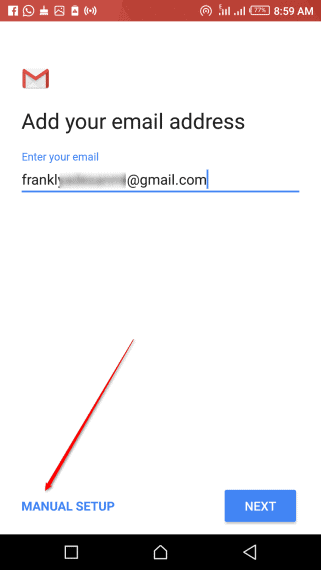 With Email app on your Android phone, you can use IMAP to log in and check your iCloud email at any time. Although iCloud service is mainly for iOS devices, Android users can also create an iCloud account and use it on their Android phone. While this may not be effective, users can still create an iCloud account and use it on their Android phone. If you own an iOS device you may want to skip this procedure. The section only wants to prove to you that Android users can also create an iCloud account and set it up on their Android phone using Gmail. A new window will pop up. Fill the requirement to the best of your knowledge and click continue. Don’t forget to scroll down the page to input all the requirement before clicking on continue. Login to your email account and click on the verification link sent to you. After that, you will be directed to your iCloud account where you will see contacts, notes, documents, settings and the like. Congratulations you have successfully created an iCloud an account as an Android user. You can as well use this iCloud login on your iPhone/iPad/iPod. This procedure may differ from phone to phone. Also, before you determined that you want to move your iCloud email address to your Android phone, it means that you have set up a working iCloud account for iPhone/iPad/iPod. For obvious reason, Android required you to have a working Gmail account to own an Android phone. And for iOS users, you really need to own an iCloud account where you can access your iOS devices online. However, when you want to move from an iOS device to an Android device, all you need to do is use the Email option available on the Android phone to access your iCloud. Although there is no big deal switching your iCloud account to your Android phone, yet you need to be able to do things under no or little supervision. However, here is how to set up old iCloud for Android from an iPhone or iPad or iPod. The only technical know-how of this post is for you to be able to follow simple instruction. The exact procedure below can be used to move iCloud email to an Android phone. Swipe down your phone screen and click on the settings gear icon. Scroll down the page and click on the account under the account. You will probably see the Email option under accounts. And if it is not there, please do not click on Google or Gmail option if that is what you have [Clicking on Gmail option will recognize your iCloud account automatically and import the correct server to keep your iCloud email running on your Android phone]. Enter your iCloud email account. Here we will enter the exact email account we created above and use it to log in to your iCloud account and click on Manual Setup. Note: For iCloud email account such as franklyn@icloud.com just do the same thing and you will be fine. This is where you will set up your iCloud account incoming server different from default Gmail incoming server. So follow the procedure below to continue. At this point, your account incoming server will undergo validation and you will be taken to the next step. If your email and password are correct you may see “Email security not guaranteed. Click on advance and scroll down the page to click on proceed anyway. ……. and click on next to continue. Similarly, you need to set up your iCloud for Android outgoing server just the way you did for the incoming server to be able to swap iOS iCloud email to your Android phone. All you just have to do is set your outgoing server as below. Password: Use the password you used in the incoming mail server section, whether it was your original or the app-specific password you generated. After all, these click on the finish or continue button and you are done. This exactly how to set up iCloud for Android if you are ditching your iOS device from Android.